Are you always looking for time and space to do scrapbooking & card making? 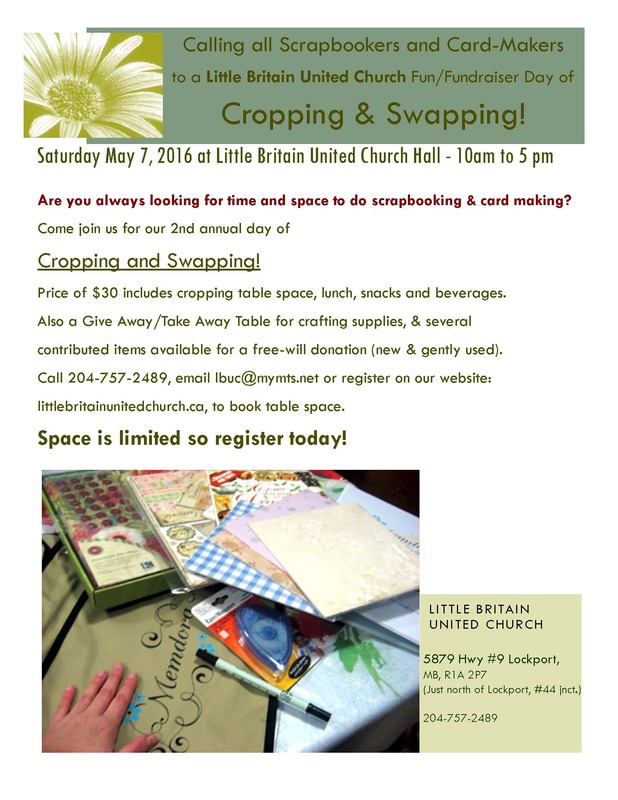 Come join us for our 2nd annual day of Cropping and Swapping! Price of $30 includes cropping table space, lunch, snacks and beverages. Also a Give Away/Take Away Table for crafting supplies, & several contributed items available for a free-will donation (new & gently used). Call 204-757-2489, email lbuc@mymts.net or register below to book table space.